Select at least three favorites to begin. No thanks, I don't want a curated ONTRAPORT Blog. Learn about the five stages of the customer lifecycle to improve your current customer relationships and to turn your leads into brand advocates. 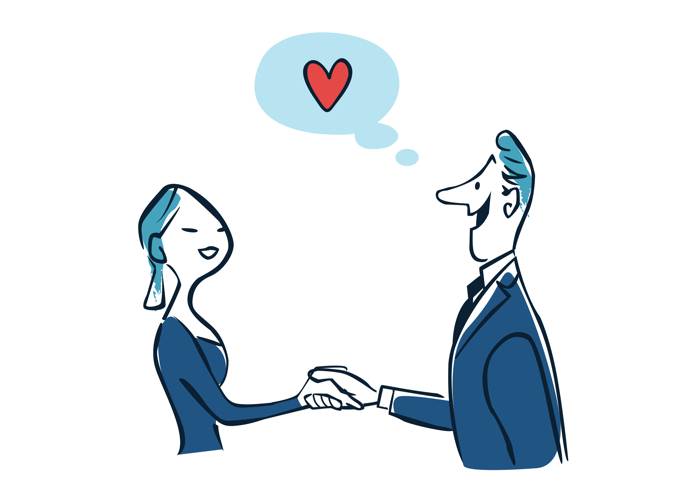 Marketing is like dating: Just as you wouldn’t ask someone to marry you on a first date, you shouldn’t ask your customers to buy your main product the first time they become aware of your brand. It’s important to nurture your relationships with your customers, as you would any relationship in life. The customer lifecycle is one effective way to do that: It starts with building attraction, moves into the committed relationship stage with a purchase, and continues into spreading the word of your relationship or your brand. In the customer lifecycle, your goal is to continuously strengthen your relationships with leads and customers by moving them through a series of stages — also known as a funnel. In marketing, a funnel refers to a predetermined series of events or interactions with a customer or lead. 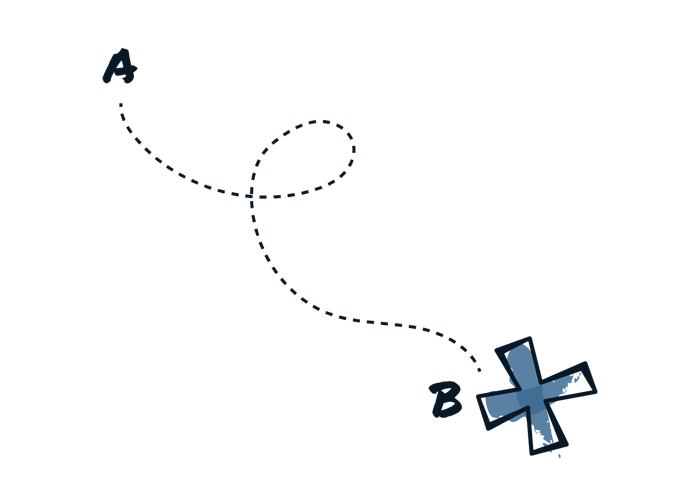 Think of it this way: A funnel is intended to guide a customer from point A to point B — point A might be having no awareness of a product and point B can be purchasing it. Point A could also be purchasing an inexpensive product while point B is purchasing a more expensive product. It can be anything — the funnel is just what happens between the two points. Within the customer lifecycle, which can be considered a funnel, there are five steps you’ll need to take to guide your leads and customers to take action. Each step corresponds with a different stage of the customer relationship and includes a variety of smaller funnels you can use to move customers to the next stage. 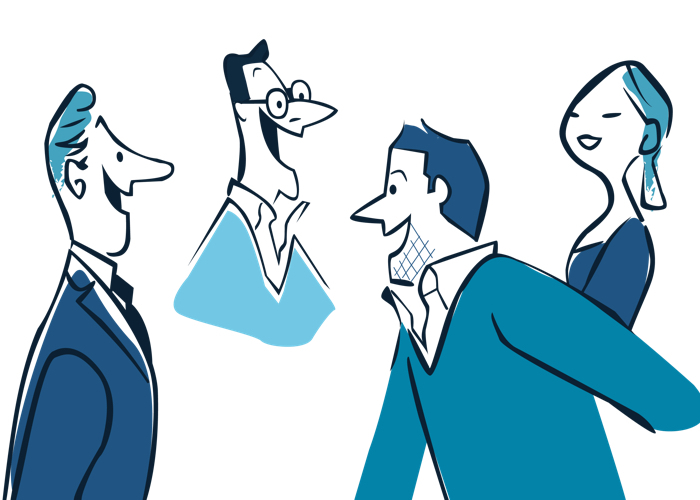 As customers grow to know and trust you, they progress through these five stages. During the attract stage, the goal is to initiate some form of relationship by sparking prospects’ interest in your brand. To catch their attention, you might develop a content marketing plan that involves regularly publishing blog articles, use cases, videos and more on topics related to what you sell — all meant to attract people who are interested in those topics and are, therefore, likely interested in your product. You can make this content available for your audience to enjoy without giving anything in return; however, your ultimate goal during the attract stage is to get prospects to share their email address with you so that you can stay in touch over time — akin to asking for a potential love interest’s phone number to set up a first date. You can capture their information by encouraging them to opt in for more valuable content that is “gated.” Visitors can only view gated content if they take a particular action, such as filling out a form with their first name and email address. Then, you can send the content to them via email (using marketing automation tools such as ONTRAPORT). Perhaps within your blog article you can include a link to a landing page for a free ebook, or on your website you have a pop-up that invites viewers to share their email address for a free white paper. After they receive their free gated content, send them three more pieces of bonus content, one a day for three days, to keep them engaged and gain their confidence in you. This specific funnel is known as a lead magnet which, in this example, is a free offer intended to attract a narrow audience of people who are similar to your current customers. Those who opt in for the lead magnet are now considered leads. Although lead magnets are most common in content marketing in the form of free content such as ebooks or white papers, if you’re doing marketing for a physical product or a service, your lead magnet could be an invitation to share with you their email information in exchange for a coupon or a freebie. Content marketing is one of the most common ways to attract attention to your business and collect leads, but you can also gain awareness with a strategic PR campaign, traditional advertising, and other marketing tactics. Once you’ve gathered an audience, you can use their email addresses and browser tracking pixels to target them with retargeting ads for entry-level products. Meanwhile, you should stay in touch with them over time by sending regular emails with valuable new content and occasional offers for an entry-level product. Once you’ve begun a new relationship with a potential customer, the evaluation phase of the attract stage begins. During this time, the customer is evaluating whether he or she wants to be a part of what your brand stands for. In relationships, this is similar to the phase immediately after you’ve earned your love interest’s digits. The next thing to do is call and ask for a first date. As your customers are evaluating your brand, your task is to encourage them to enter into a purchasing relationship with you so that they can experience what you have to offer. At this stage of your relationship, it would be a mistake to ask them for too much, too fast, so we don’t recommend offering your main product. Instead, offer an entry-level, low-priced item designed to identify your most qualified leads. For example, if you’re a coach or consultant, you could sell them an online course, a book you’ve written, or a short phone coaching session. If you’re a massage therapist, you could sell a 15-minute chair massage. If you’re an ecommerce retailer for women’s clothing, you could sell an inexpensive but high-quality item such as leggings or a fashion scarf. This is known as a “tripwire” product, because when people buy it, it lets you know that they’re ideal prospects for your main product and that they’ve responded favorably to your marketing by actually opening their wallets. An ideal tripwire product needs to be appealing to people who would be qualified leads. Although the word “tripwire” might imply that you’re being tricky with your leads, it’s very important to note that your goal here is to provide your leads with something of real value. While tripwires must be priced very inexpensively, they should be very high-quality products. A tripwire product needs to overdeliver on the promises made to potential buyers because it is their first buying experience with you. Even if they trust you enough to buy a small item, you need to continue earning trust if you hope to sell them on your main product and turn them into long-term, loyal customers. The very first sale is the hardest to make because, before parting with their money, consumers have to trust your brand. This is why a tripwire must be priced irresistibly low (in the sales copy, it’s important to explain that it has a much higher value than they’re paying so as not to cheapen the product). After earning the trust of those who purchase your tripwire products, you know that it’s a safe bet to move forward and offer them something more expensive down the line. Another benefit of promoting tripwire products is that they are a self-liquidating form of lead generation, meaning that the proceeds you earn from selling these items offset the costs of generating leads. It costs a lot to advertise on Facebook, Google and elsewhere. You don’t need to make a profit off of tripwires, but the revenue they generate can help you extend your marketing budget by reducing or offsetting the costs involved with lead generation. We recommend sending at least five emails pitching your tripwire product or service from five different angles. Send one every seven days, and include a link to a sales page in each email. Although you could manage this manually if you kept track of each lead’s individual progress, we recommend automating these emails to ensure consistent delivery. If you’re using automation, you can also make sure that leads who respond to your offer no longer receive pitches. If a lead responds to any of these five emails by purchasing the product, then automatically remove them from the offer funnel and move them onto a post-purchase funnel for the product. What’s a post-purchase funnel? Part of over-delivering after their purchase means sending your new customers more bonus content or offers after they purchase. These funnels are very similar to the welcome funnel that you sent earlier. Each day after purchasing, for three days, send them a bonus. These bonuses should be similar to the tripwire product and add even more value. For example, a massage therapist could send offers for half-price aromatherapy. Coaches could send free ebooks that help solve their clients’ challenges. Whatever it is, it should build trust and reinforce that the customers’ initial decision to do business with you was a good move. Once you’ve cemented the buying relationship with your leads by selling them a tripwire, the next task is to introduce them to your main product. The convert stage of the customer lifecycle is all about turning qualified leads into loyal customers by purchasing your “core offer.” If you’re a life coach, your core offer might be enrollment in a more expensive, long-term program that guarantees your clients a full transformation. If you’re a chiropractor, it might be a package of a dozen office visits to fix a chronic condition. A conversion is a more permanent decision than buying an entry-level product, in the same way that agreeing to commit to someone in a long-term relationship is more serious than agreeing to go out on a date or two. So what kinds of funnels should you use to move leads from attract to convert? A conversion funnel can take a wide variety of forms but, regardless of form, it should address the issues and challenges your customers face and offer your core product as the solution. Let’s go back to our two examples from above. A great conversion funnel for life coaches would identify the problems their clients are facing — maybe lack of direction, weak motivation or unfulfilling personal relationships — and address how the core product would solve each of these problems. 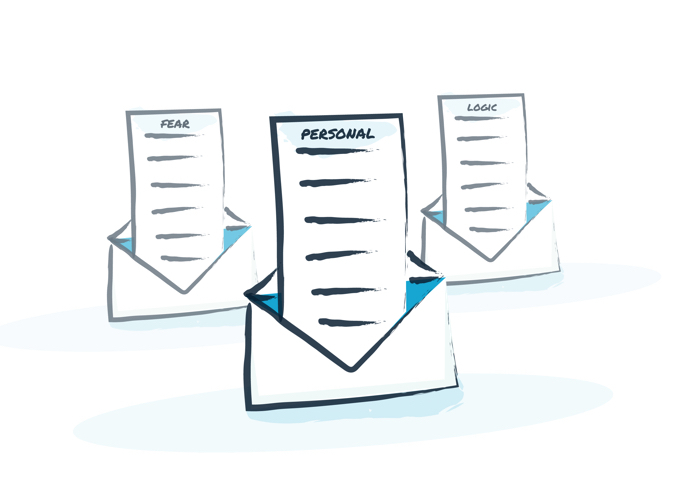 In addition to sending an offer funnel about the coaching product (following the same template as the offer funnel for a tripwire product), a life coach could send leads to a form where they can sign up for a free call during which they get to talk to the coach about whether this program is right for them. When they sign up for the long-term coaching program, a conversion has occurred. A good conversion funnel for a chiropractor might consist of a similar offer funnel pitching committing to a dozen office visits for a lesser price than 12 individual visits. The offer funnel would address common patient complaints such as back pain or headaches and urge potential patients to come in for a free introductory visit during which the chiropractor could sell them the package and earn a conversion. You can apply this in your business by thinking about what challenges your product or service helps your customers to overcome. Then, you will need to create a funnel that gathers information from your leads about their own challenges, thereby creating an opportunity for you to step in with the solution and convert them into customers. During the fulfill stage, the goal shifts away from turning leads into customers to focus on serving customers to the best of your ability. This includes all funnels intended to manage client experience, as delivering an incredible customer experience is critical for retention. This stage is about adding more value for your customers and reinforcing their decision to choose your brand. Although promoting paid upsells might seem to fit in this stage, that will come later. Your first priority for new customers should be to encourage them to use the product or service they purchased and to take advantage of any free resources and services you provide so they can get the most out of their purchase. Offering these resources and staying in touch to ensure they’re satisfied and gaining value from their purchase reiterates your value, builds your relationship, and confirms for them that they made the right decision in purchasing your product. Stay in touch with your new customers, and make sure you’re providing the highest level of customer service so that they will stick with you and move onto the next stage. The delight stage is about building loyalty among your customers and expanding the buying relationship to introduce them to additional products, events and services. You can continue the buying relationship during the delight stage by sending your most loyal customers another offer funnel for a program, product or service that’s more of a commitment than anything else you offer. Maybe it’s an annual contract for one-on-one coaching services, a conference or live event, or a more expensive upgrade on your core offer. The most strategic delight offers are those which encourage customers to make your core product more a part of their lives. That could mean buying it more frequently, using it more frequently (if your product is subscription-based) or using it in new and more rewarding ways. A good delight offer should not only cement the relationship between you and the customer, it should also develop it further. For example, a live event where your loyal customers get to meet you, your staff and the rest of your community is a perfect delight offer. Think about it: Traveling to be a part of the event and spending time talking about your business with other loyal customers is likely to turn them into customers for life. One great example in ecommerce of a smart delight product is Amazon’s Echo, a voice-controlled home automation device. Targeted toward the most loyal Amazon Prime users, the product encourages customers to remain within the Amazon ecosystem by making it easy to listen to Amazon Prime music and order products instantly with their Prime account. It’s a brilliant delight offer because it encourages consumers to keep using more benefits of their Amazon Prime account. The main benefit of delight funnels is that they build brand loyalty: As customers make the most of additional resources and services you provide for them, they will stay with you for the long run and become advocates for your brand, which brings us to the fifth and final stage in the lifecycle, the “refer” stage. As you improve the customer experience, if you do it right, you will end up with loyal customers who have become brand advocates, meaning they’re willing to tell their friends and business connections about you. The ultimate value you can receive from your customers is not the money they pay for your core product but word-of-mouth marketing. You can market your own business, but it is infinitely more effective when your loyal customers are willing to help you get the word out! For the life coach with happy clients whose lives have been transformed, a fantastic refer funnel would ask those satisfied clients to share the program with their friends. They could offer a discount to any friends who signed up for the program to encourage clients to share their experience. You can apply this concept in your business by working to identify your most loyal customers, then activating them to become vocal referrers and advocates for your brand. 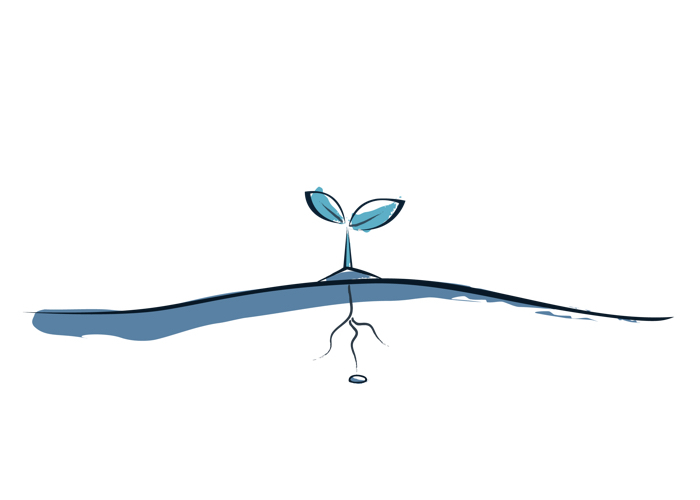 Ready to Plant the Seeds of a Successful Customer Relationship? Although there are infinite options when it comes to creating smart marketing funnels, every funnel you spend time to develop in your business should support one of these five stages. If it doesn’t, stop and ask why you are willing to spend time and energy on it. Be sure to keep these principles in mind when mapping new campaigns, writing copy to support new funnels and creating emails, pages or new content, and soon you’ll be moving more customers through these five stages to become brand advocates. With funnels in place to support each of these five stages, you’ll have a rock-solid foundation upon which to grow your business consistently over time. Associate Editor Megan Monroe is a graduate of Santa Barbara’s Westmont College where she studied Philosophy and Communications. After working for several local small businesses (where she gained firsthand experience with the frustration of manual segmentation and follow-up), Megan joined the ONTRAPORT Growth Team. When she isn’t writing marketing copy, social media posts or educational guides for entrepreneurs, she enjoys taking advantage of the Central Coast's amazing wineries and cooking without following a recipe.